Edgar Payne’s plein air mountain paintings brought him to Laguna Beach, CA where he helped establish the city as an artists’ colony. A recent trip to the eastern Sierras for some backpacking and camping brought me back to my youth, where I spent a lot of time hiking. It was immediately familiar, even though it’s been years since I’ve spent time there. I suppose it’s because mountains have a way of not changing too quickly. photographs and paintings. The first time I saw an Edgar Payne painting, I instantly realized he had fully captured the light of the Sierras, so different from other Western mountain ranges. time at the Art Institute of Chicago, but found the practice too structured. He preferred finding his own way toward his artistic vision. 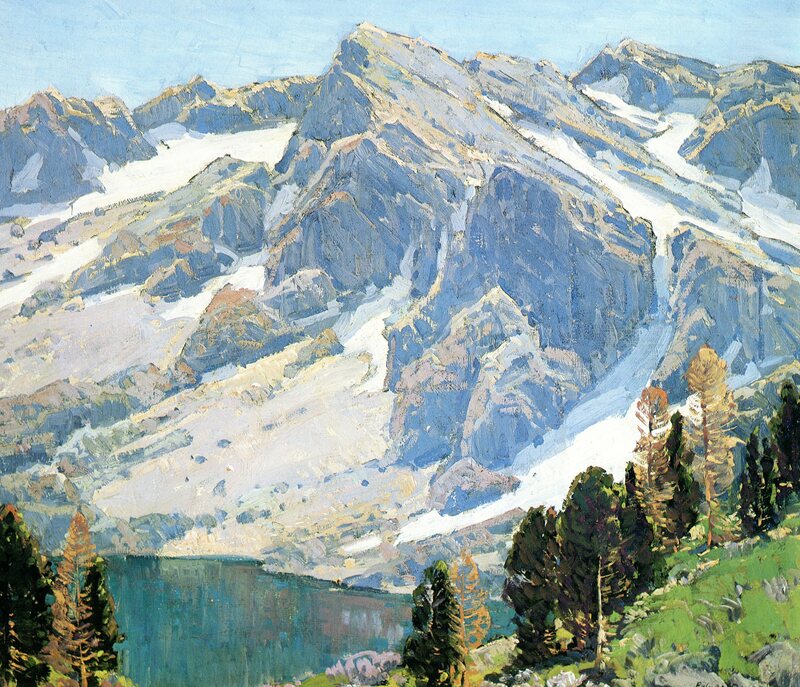 Although he left formal schooling behind, Payne was an extremely disciplined and diligent artist who later wrote the book, Composition of Outdoor Painting, to assist other self-taught artists. In 1909, at the age of 26, Payne made his way to California for the first time. He spent several months painting at Laguna Beach then headed to San Francisco. After further American travels, in 1917, he and his wife Elsie made their home in Laguna Beach. Not a bad choice. Payne was one of the founders of The Laguna Beach Art Association, serving as its first president. The association continues today helping promote Laguna as an artist’s colony. The original gallery established by the group eventually became The Laguna Art Museum. Edgar and Elsie travelled the American southwest, painting on commission for the Atchison, Topeka and Santa Fe Railroad. They created stunning images of the red sandstone landscapes and the Native American folk who lived there. 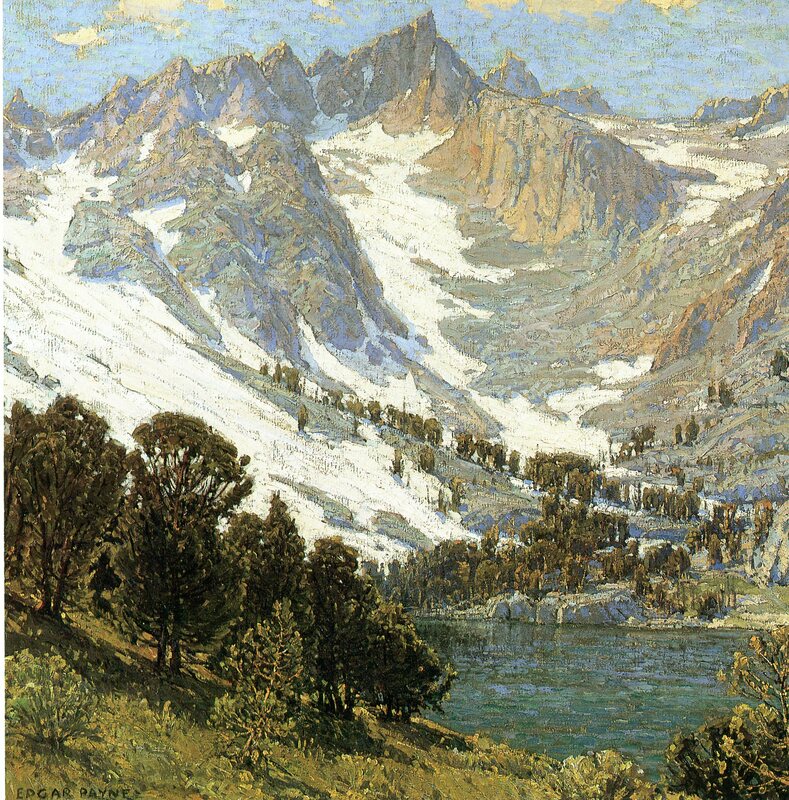 Payne’s artistic heart, though, was alpine. 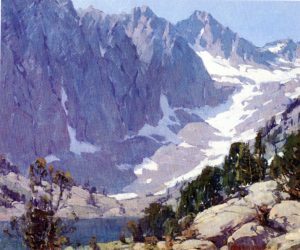 His continual refuge and inspiration was the California Sierras. 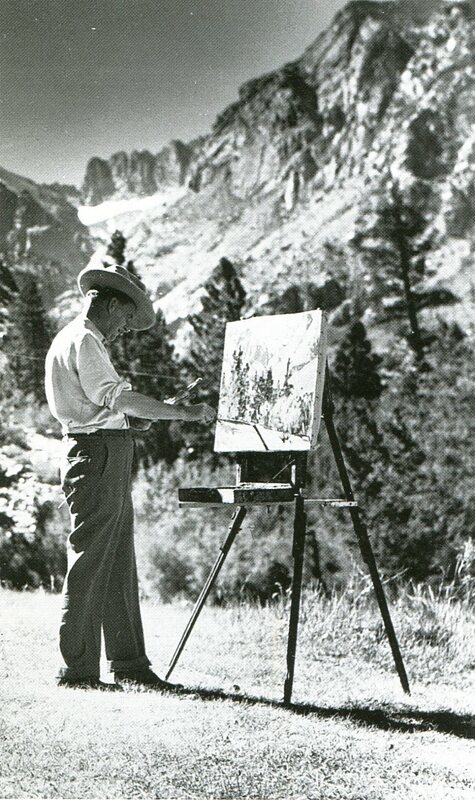 Before Ansel Adams’ famous photographs of Yosemite, Payne and “the California Sierras ultimately immortalized each other.”1 Often the Paynes’ hiking trips took them into the backcountry, looking for undisturbed places of raw and rare beauty to paint, sometimes for weeks. You can find Payne’s works with Italian harbors, the Alps and Laguna Beach landscapes, but Edgar Payne is most remembered for his work of American Indians of the Four Corners area, and, of course, the paintings of his beloved Sierras. 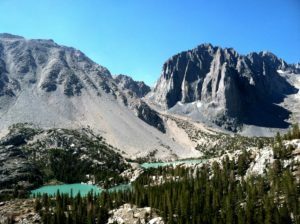 High up in the Sierras at Humphrey’s Basin, you will find Payne Lake, named in honor of his devotion to the mountains. Email or call Jeff at 626-221-5244 to create beautiful interior and exterior Arts & Crafts lighting for your home.